The Commander-in-Chief had some explaining to do! The President arrived at The East Room at an event honoring the remaining CIA members responsible for helping to illegally arm the Contras in the 1980s with (OMG….you are not going to believe this!!! )…lipstick on his collar. “I don’t want to get in trouble with Michelle, so I’ll have you know that this isn’t lipstick…it’s blood!! 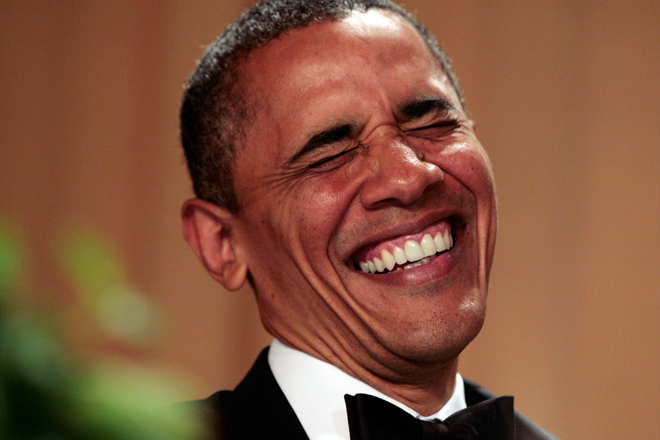 !” quipped the President to raucous applause and laughter from the fawning, ever-diligent press corps. The President also took the moment to announce that he has personally ordered drone strikes on former members of the band Sepultura. Some ex-members of Sepultura, which means “grave” in some weird foreign language, have been linked to a sinister splinter group that goes by the ominous name “The Cavalera Conspiracy”. 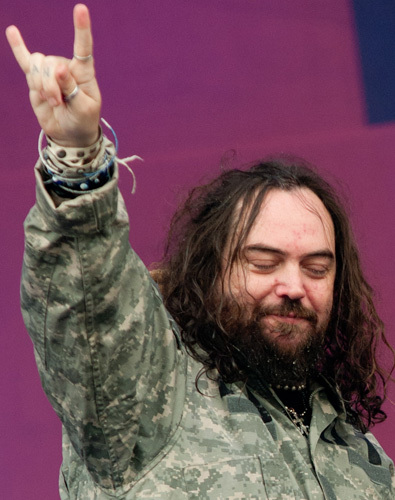 The former lead singer, Max Cavalera, was involved in the 1990s with a project referred to only as “Nailbomb”. A nail bomb is an explosive device often built by terrorists out of ordinary household items. It often contains nails (or other sharp, pointy things) and can explode and cause harm to people who are susceptible to injury from flying shrapnel. They are very, very dangerous, particularly when they kill people. These cheaply built weapons, often referred to as IUDs, have caused death and injury to thousands of people, including Americans. Max and his brother, a shadowy figure who goes by the name “Igor”, are both wanted in connection for their parts in The Cavalera Conspiracy. “The greatest threat to America, besides Michelle if she finds out about the lipstick, are The Cavalera Brothers,” trying to hold back his trademark grin as throngs of reporters collapsed to the floor and began spasmodic seizures of laughter. The President assured the audience that no current members of Sepultura would be harmed. “The United States government has an avowed policy of only killing people when they are in the way or within a hundred mile vicinity of evil people. As far as we known, in spite of their current status as Brazilians, the people of Sepultura are 100 percent safe,” said the President in a calm, confident, comforting, assuring, Presidential tone. Predator drones have become the President’s weapon of choice because of their uncanny ability to allow for maximal destruction with minimal impact on public opinion poll numbers. Americans aren’t in the planes, so unless one of the soldiers operating an aircraft from a hangar in Nevada accidentally chokes on a ham sandwich, they harm only bad people. Even if one goes off course and destroys a questionable military target, like a hospital or school, the President could always buy a new dog and mollify the American public until the next atrocity comes along.